The leader of the Moscow Composers Orchestra and piano player Vladimir Miller is a fluent Russian speaker. He's been active on the Russian new music scene since the beginning of the '90s. 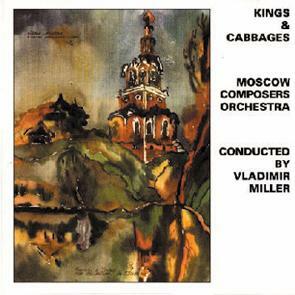 On this CD he leads 18-piece orchestra consisting of top Moscow imporvisors to perform four of his compositions written especially for this orchestra. Duration 57'02. Outstanding reviews.